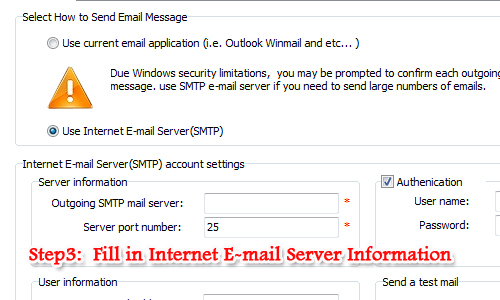 How to send email by using Internet E-mail Server (SMTP) with A-PDF Automail? I download A-PDF Automail to have a try. And now I have problem using Internet E-mail Server to send email easily. Would you please show me the tutorial to make it work? 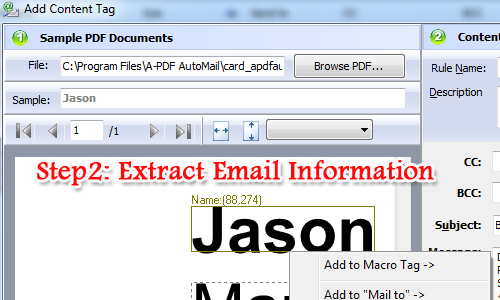 A-PDF AutoMail is used for batch sending PDF file which contains email recipient and email address automatically. 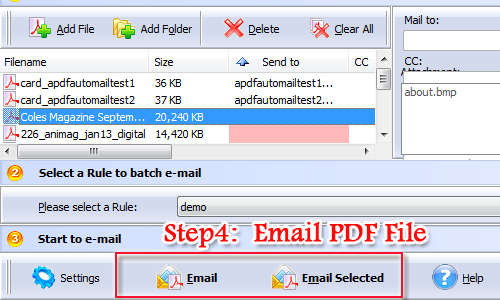 With A-PDF Automail, for one thing, users can extract the recipient information and email address easily; for another, you can customize the email setting and sending settings before batch sending emails. Now let’s show you the easy method to use Internet E-mail server to send you emails. Download and run A-PDF Automail. And then add PDF files or a folder of PDF files. 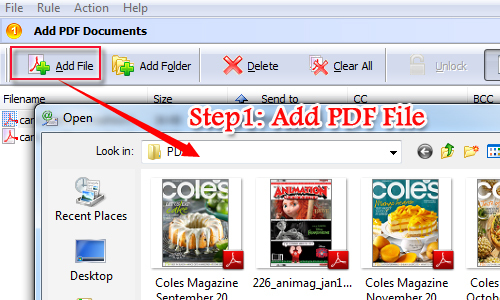 In this section, you are able to change the PDF order and delete the PDF file with ease. Then click "Rule" button and select edit rule to continue. And then select the recipient and email address and then add them to tag mail to, subject, message and attachment as well. There are two modes for users to send email. One is to use current email application and the other is to use Internet E-mail server. You have to fill in the information such as outgoing SMTP mail server, server port number and user information. Once you finish customizing the sending settings, it is time for you to email the PDF files. Anyway, you can email selected PDF file as well if it is necessary.